I began my training for the Austin Marathon with two twenty milers to Twin Lakes this week. One last Sunday and another today – Saturday. Not a bad start considering my hamstring pull. I still don’t know how I ran twenty miles a day after pulling my hamstring. I wasn’t sure I’d be able to run at all. I set the day after the Colder Bolder as my first day of marathon training and despite my sore leg, figured I’d just run slow. I started out hamstrung but my leg loosened up after a couple of miles and I ran a fairly normal 9 minute mile pace out to Twin Lakes. This is the ten mile turn-around point. I tripped running up the steps to the lake trail, on the last step, with my weak leg. Then I had to stop a few times around mile 16 to stretch it out. My pace then slowed to over 10 minute miles, but I was able to continue running. My leg was super sore after that and I took Monday and Tuesday off. 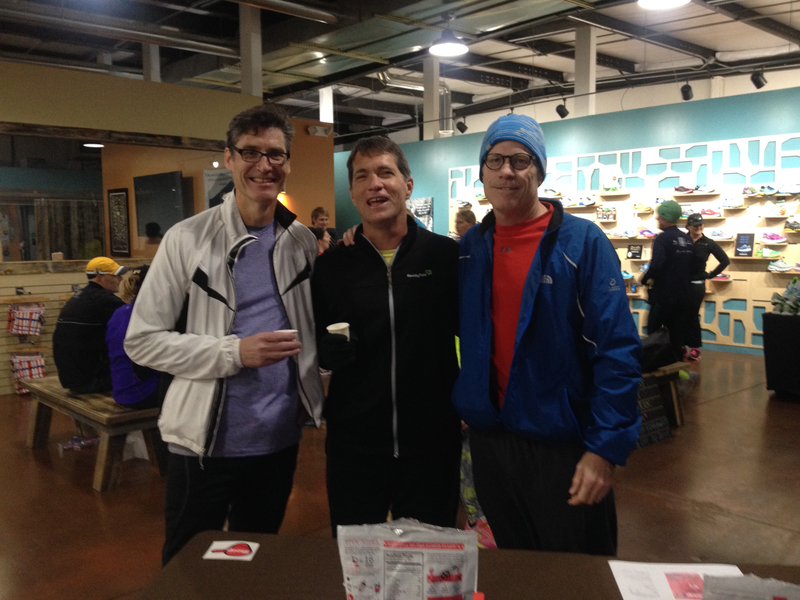 Got in six miles Wednesday and joined Keith and Steve Thursday for the Shoes & Brews social run. We’re pictured here tasting the Skoop samples. I got in another slow ten miles yesterday and then, amazingly, I woke up today with my leg feeling much better. So I ran another twenty miles. I feel a bit silly now that I scheduled a visit to see a chiropractor, but that’s been long overdue. I discovered Aetna, my insurance provider, won’t cover massages provided for by a massage therapist. Aetna will cover massages performed by Physical Therapists and Chiropractors though. There is a Chiropractor in my neighborhood that everyone speaks highly of, so I will see him next Friday. I have enough issues for him to review other than my hamstring. My hip is out of whack, probably has been for decades. As a result, my right leg is shorter than my left. I suspect this leads to most of my running injuries. Time to find out. I’m just happy this muscle pull isn’t severe and that I’ll be able to run through it. I have an odd albeit short history with Chiropractic medicine. I haven’t been a fan. I know it has its place though and I’m going to give it a shot. 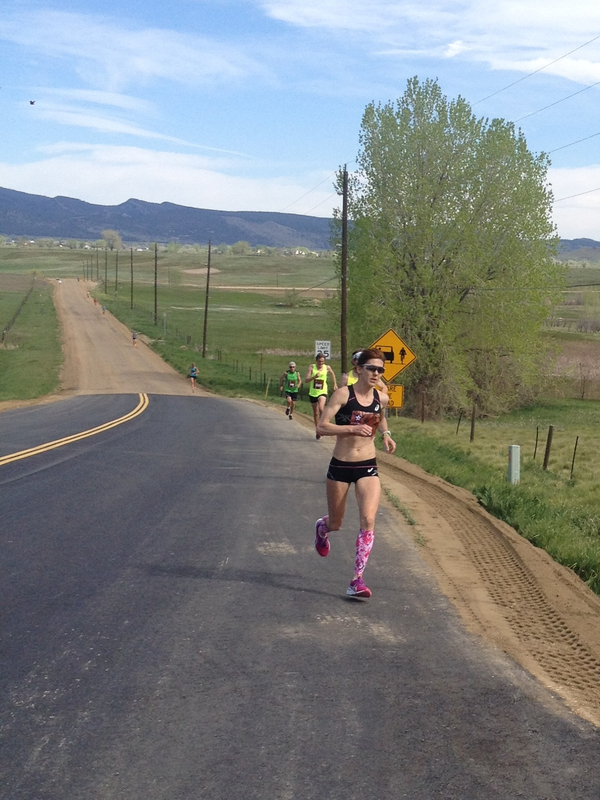 It’s not really possible to train for marathons without getting in some decent miles. I need to stay healthy over the next two months. Giving my body a tune up next Friday is probably a good idea. Poor Steve, pictured in the middle of the above photo, is scheduled for surgery Thursday to correct his running injuries. I won’t describe the procedure because talking about that stuff gives me chills. But the whole neighborhood will be thinking of him. My issue with chiropractors is only that it seems to become a very long-term and expensive relationship. I’ve been several times, and it always starts out with the “visit 3 times a week, then maybe we’ll cut it down to 2,” which makes sense if you’re re-aligning a body but at $25-a-pop (that’s a joke that only the chiropractor got) co-pay it starts adding up. Plus they never seemed to work on the part that was hurting, always something else. Ultimately, after having so much time stretched out on the massage table to think about what was REALLY going on with my body, I’d stop going and fix the issue myself with rehab type exercises. On the other hand, one thing I found that was AWESOME and really helped a great deal was a good therapeutic massage performed by a masseuse knowledgeable about my sport. I’ve got a couple of good names here in Austin should the need arise, Ed. Enjoy your training. 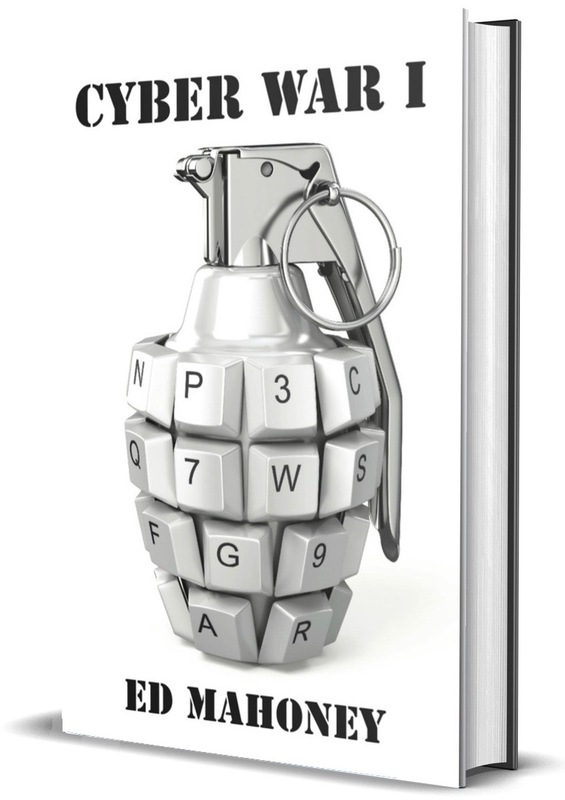 It leaves me, as always, in awe, and I enjoy your writing about it. Thanks for the advice George, none of it surprises me. I’ll take a name from you for when I am in Austin. I have a great massage therapist who understands sports needs. I’ll take a massage in a relaxed, music-playing environment any day over a clinical environment.